Santa Claus is coming to town and he is bringing his friends in this adorable train scene! 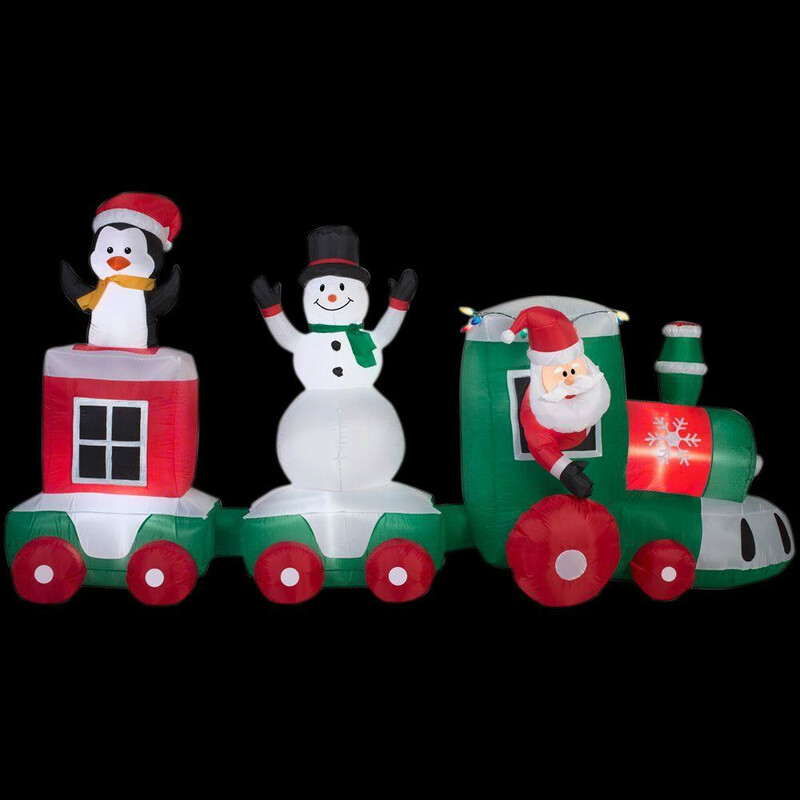 Greet your guests with this adorable Lighted Inflatable Train Scene. 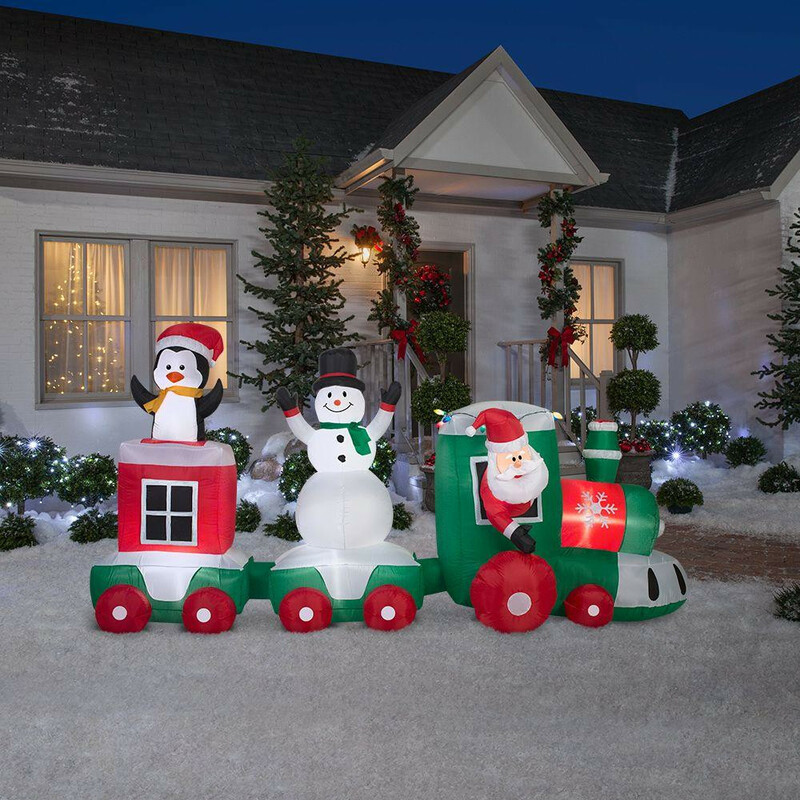 The whimsical train, with Santa as the engineer and a snowman and penguin in tow, is a fabulous addition to your outdoor holiday decor. 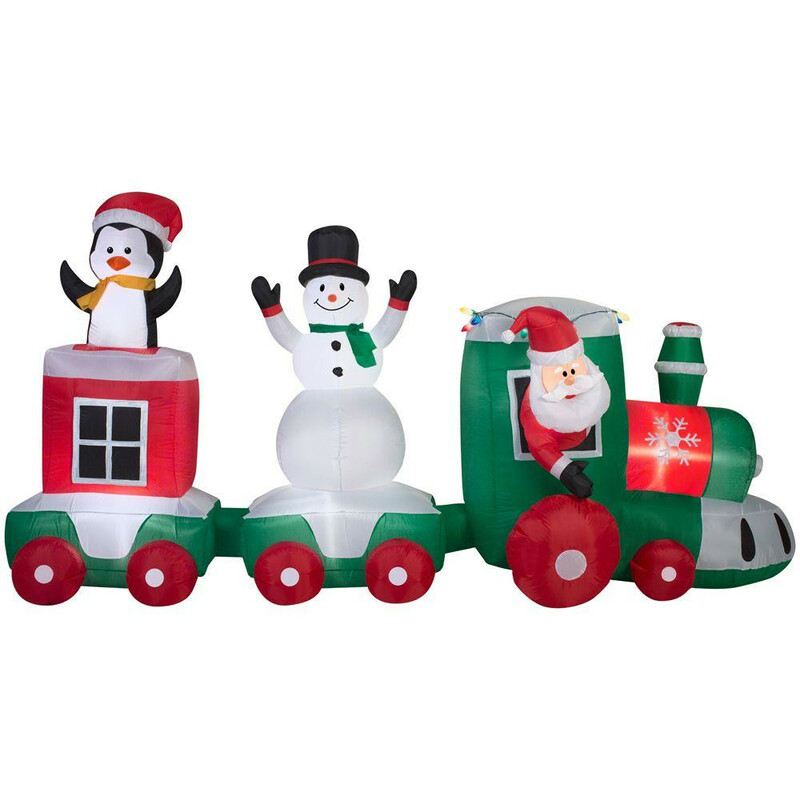 Easy to set up, it self-inflates in seconds and lights up for nighttime enjoyment. The weather-resistant material means it will be around season after season, while the included stakes and tethers keep it situated wherever you set it up.